The introduction of an impairment test of goodwill by IAS 36 and SFAS 142 implies a strong link between financial and management accounting, capable of improving both the accounting systems. In this paper I analyze the existing literature on goodwill both in financial and management accounting and I find little interest in investigating the reciprocal connections. I thus present a research agenda to explore this intriguing relationship. Ahmed A., Guler L. (2007). Evidence on the effects of FAS 142 on the reliability of goodwill write-offs. Working paper. Texas A&M University. Angelkort H., Sandt J., Weißenberger B. (2008). Controllership under IFRS: Some critical observations from a German-speaking country. Working Paper, Justus-LiebigUniversität, Gießen. Andriessen D. (2004). Making Sense of Intellectual Capital. Oxford: Elsevier ButterworthHeinemann. Anthony R.N., Dearden J., Vancil R. (1972). Management control systems. Homewood, Irwin. Barth D., Crasselt N., Sellhorn T. (2005). Accounting for goodwill under IFRS 3 and IAS 36 – A survey of Prime Standard firms. Ruhr-Universität Bochum, June. Bartov E., Lindahl F.W., Ricks W.E. (1998). Stock Price Behavior Around Announcements of Write-Offs. Review of Accounting Studies, 3, 4: 327-346. Beatty A., Weber J. (2006). Accounting Discretion in Fair Value Estimates: An Examination of SFAS 142 Goodwill Impairments. Journal of Accounting Research, 44: 257-288. Bens D.A., Heltzer W., Segal B. (2011). The Information Content of Goodwill Impairments and SFAS 142. Journal of accounting, auditing and finance, forthcoming. Beretta Zanoni A. (2009). Accounting For Goodwill. Abingdon (UK), Routledge. Beyer A., Cohen D.A., Lys T.Z., Walther B.R. (2010). The Financial Reporting Environment: Review Of The Recent Literature. Journal of Accounting and Economics, 50: 296-343. Branda M., Franco G. (2005). Gruppo Benetton: un caso di applicazione degli IAS 14 e 36. Amministrazione & Finanza, 24: 11-14. Bugeja M., Gallery N. (2006). Is Older Goodwill Value Relevant?. Accounting and Finance, 46, 4: 519-535. Burns J., Vaivio J. (2001). Management accounting changes. Management Accounting Research, 12: 389-402. Carlin T.M., Finch N. (2008). Goodwill Impairment Testing Under IFRS – A False Impossible Shore ? (July 24). Available at SSRN: http://ssrn.com/abstract=1173382. Carlin T.M., Ji K., Finch N. (2010a). Empirical Evidence on the Application of CGUs in the Context of Goodwill Impairment Testing (February, 09). Available at SSRN: http://ssrn.com/abstract=1550429. Carlin T.M., Finch N. (2010b). Evidence on IFRS goodwill impairment testing by Australian and New Zealand firms. Managerial Finance, 36, 9: 785-798. Chalmers K., Clinch G., Godfrey J.M. (2008). 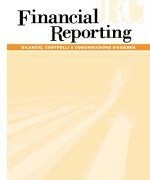 Adoption of International Financial Reporting Standards: Impact on the Value. Australian Accounting Review, 18, 3: 237-248. Chalmers K., Godfrey J.M. Webster J. (2011). Does a Goodwill Impairment Regime Better Reflect the Underlying Economic Attributes of Goodwill?. Accounting & Finance, 51, 3: 634-660. Chambers, D. (2007). Has goodwill accounting under FAS 142 improved financial reporting?. Working paper, University of Kentucky. Chen C., Kohlbeck M., Warfield T. (2008). Timeliness of impairment recognition: evidence from the initial adoption of SFAS 142. Advances in Accounting, 24: 72-81. Churyk N.T., Chewning E.G. (2003). Goodwill And Amortization: Are They Value Relevant?. Academy of Accounting and Financial Studies Journal, 7, 2: 57-69. Comiskey E.E., Clarke J.E., Mulford C. W. (2010). Is Negative Goodwill Valued by Investors?. Accounting Horizons, 24, 3: 333-353. Comiskey E.E., Mulford C. W. (2010). Goodwill, triggering events, and impairment accounting. Managerial Finance, 36, 9: 746-767. Copeland T.E., Koller T., Murrin J. (2000). Valuation, 3rd Edition. New York: Wiley. Dichev I.D. (2008). On the Balance-Sheet Based Model of Financial Reporting. Accounting Horizons, 22, 4: 453-470. Ding Y., Richard J., Stolowy H. (2008). Towards an understanding of the phases of goodwill accounting in four Western capitalist countries: From stakeholder model to shareholder model. Accounting, Organizations and Society, 33: 718-755. Ellis M. (2001). Goodwill accounting: Everything has changed and nothing has changed. Journal of Applied Corporate Finance, 14: 103-112. Ernst & Young. (2011). Meeting today’s financial challenges – Impairment reporting: improving stakeholder confidence. www.ey.com. Feng G., Lev B. (2008). Investor Sentiments, Ill-Advised Acquisitions, and Goodwill Impairment. Working Paper (NYU and SUNY Buffalo). Finch N. (2008). A Case Based Analysis of Impairment Decision Making. Journal of Law and Financial Management, 7, 2: 36-40. Francis J., Hanna D., Vincent L. (1996). Causes and Effects of Discretionary Asset WriteOffs. Journal of Accounting Research, 34, Supplement: 117-134. Godfrey J.M., Koh P. (2009). Goodwill impairment as a reflection of investment opportunities. Accounting and Finance, 49: 117-140. Guerrini A., Cantele S., Modina S., Campedelli B. (2011). Do Accounting Standards Affect Pms Tools? The Case Of Ias/Ifrs Adoption In Italy. International Journal Of Business Performance Management. 12, 3: 295-307. Hayn C., Hughes P.J. (2006). Leading indicators of goodwill impairment. Journal of Accounting, Auditing & Finance, 21, 3: 223-265. Hemmer T., Labro E. (2008). On the Optimal Relation between the Properties of Managerial and Financial Reporting Systems. Journal of Accounting Research, 46: 1209-1240. Henning S., Lewis B., Shaw W. (2000). Valuation of the Components of Purchased Goodwill,. Journal of Accounting Research, 38: 375-386. Henning S. L., Shaw W.H. (2003). Is the Selection of the Amortization Period for Goodwill a Strategic Choice?. Review of Quantitative Finance and Accounting, 20, 4: 315-333. Henning S. L., Shaw W.H., Stock T. (2004). The Amount and Timing of Goodwill WriteOffs and Revaluations: Evidence from U.S. and U.K. Firms. Review of Quantitative Finance and Accounting, 23: 99-121. Hirschey M., Richardson V.J. (2003). Investor Underreaction to Goodwill Write-Offs. Financial Analysts Journa, 59, 6: 75-84. Ittner C.D., Larcker D.F. (2001). Assessing empirical research in managerial accounting: a value-based management perspective. Journal of Accounting and Economics, 32: 349- 410. Jarva H. (2009). Do Firms Manage Fair Value Estimates? An Examination of SFAS 142 Goodwill Impairments. Journal of Business Finance & Accounting, 36, 9-10: 1059- 1086. Jennings R., Robinson J., Thompson R.B., Duvall L. (1996). The Relation Between Accounting Goodwill Numbers and Equity Values. Journal of Business Finance & Accounting, 23, 4: 513-533. Johnson L.T., Petrone K.R. (1998). Is Goodwill an Asset?. Accounting Horizons, 12, 3: 293-303. Joseph N., Turley S., Burns J., Lewis L., Scapens R., Southworth A. (1996). External Financial Reporting and Management Information: A Survey of UK Management Accountants. Management Accounting Research, 7: 73-93. Lapointe-Antunes P., Cormier D., Magnan M. (2009). Value relevance and timeliness of transitional goodwill-impairment losses: Evidence from Canada. The International Journal of Accounting, 44: 56-78. Lee C. (2011). The effect of SFAS 142 on the ability of goodwill to predict future cash flows. Journal of Accounting and Public Policy, 30: 236-255. Li Z., Shroff P.K., Venkataraman R., Zhang I.X. (2011). Causes and Consequences of Goodwill Impairment Losses. Review of Accounting Studies. Online first. July, 27. Liberatore G., Mazzi F.. (2010). Goodwill write-off and financial market behaviour: An analysis of possible relationships. Advances in Accounting, incorporating Advances in International Accounting, 26: 333-339. Lys T.Z., Vincent L., Yehuda N. (2011). The Nature and Implications of Acquisition Goodwill. (April 4, 2011). Available at SSRN: http://ssrn.com/abstract=1802612. Morricone S., Oriani R., Sobrero M. (2009). The Value Relevance of Intangible Assetsand the Mandatory Adoption of IFRS (June 1). Available at SSRN: http://ssrn.com/abstract=1600725. O’Hanlon J., Peasnell K. (2002). Residual income and value-creation: The missing link. Review of Accounting Studies, 7: 229-245. Paananen M. (2008). Fair Value Accounting for Goodwill Under IFRS: An Exploratory Study of the Comparability in France, Germany, and the United Kingdom (September 30). Available at SSRN: http://ssrn.com/abstract=1275803. Penman S. H., (2007). Financial Reporting Quality: Is Fair Value a Plus or a Minus? Accounting and Business Research. Special Issue: International Accounting Policy Forum: 33-44. Petersen C., Plenborg T. (2010). How Do Firms Implement Impairment Tests of Goodwill?. Abacus, 46, 4: 419-446. Quagli A., D’Alauro G. (2010). Evidence Of The Impact Of Changes In Cash Generating Units On Goodwill Write-Offs And Corporate Disclosure. 6th Interdisciplinary Workshop On Intangibles, Intellectual Capital & Extra-Financial Information, Catania, Italy, September 30 – October 1. Ramanna K. (2008). The implications of unverifiable fair-value accounting: Evidence from the political economy of goodwill accounting. Journal of Accounting and Economics, 45: 253-281. Ramanna, K., Watts, R. (2008). Evidence from goodwill non-impairments on the effects of using unverifiable estimates in financial reporting. Harvard Business School Working Paper. Schultze W. (2005). The information content of goodwill impairments under FAS 142: implications for external analysis and internal control. Schmalenbach Business Review, 57: 276-297. Schultze W., Weiler A. (2009). Goodwill Accounting and Performance Measurement. Managerial Finance, 36, 9: 768-784. Seetharaman A., Balachandran M., Saravanan A.S. (2004). Accounting treatment of goodwill: yesterday, today and tomorrow: Problems and prospects in the international perspective. Journal of Intellectual capital, 5, 1: 131-152. Sevin S., Schroeder R. (2005). Earnings management: evidence from SFAS No. 142 reporting. Managerial Auditing Journal, 20, 1: 47-54. Shalev R. (2009). The Information Content of Business Combination Disclosure Level.The Accounting Review, 84, 1: 239-270. Skinner D.J. (1994). Why firms voluntarily disclose bad news?. Journal of accounting research, 32, 1: 38-60. Stokes D.J., Webster J. (2010). The Value of High Quality Auditing in Enforcing and Implementing IFRS: The Case of Goodwill Impairment (January, 14). Finance and Corporate Governance Conference 2010 Paper. Available at SSRN: http://ssrn.com/abstract=1536832. Stewart G.B. III (1991). The Quest for Value. New York: Harper Business. Taipaleenmaki J., Ikaheimo S. (2009). On the Convergence of Financial Accounting and Management Accounting (April 24). Available at SSRN: http://ssrn.com/abstract=1394373. Vance D.E. (2010). Return on Goodwill. Journal of Applied Business Research, 26, 2: 93- 103. Vanza S., Wells P., Wright A. (2009). Asset Impairments during the global financial crisis: Was there the efficient disclosure of information, or the management opportunism. Paper Presented at the 2010 AFAANZ Conference. Verriest A., Gaeremynck, A. (2009). What Determines Goodwill Impairment?. Review of business and economics, 2: 106-128. Watts R. (2003). Conservatism in accounting part I: explanations and implications. Accounting Horizons, 17: 207-223. Weißenberger B.E., Angelkort H. (2011). Integration of financial and management accounting systems: The mediating influence of a consistent financial language on controllership effectiveness, Management Accounting Research, 22: 160-180. Wong J., Wong N. (2001). The Investment Opportunity Set and Acquired Goodwill. Contemporary Accounting Research, 18, 1: 173-196. Wyatt A. (2008). What financial and non-financial information on intangibles is value-relevant? A review of the evidence. Accounting and Business Research, 38, 3, International Accounting Policy Forum, 217-256. Zhang I., Zhang Y. (2007). Accounting Discretion and Purchase Price Allocation after Acquisitions. Working Paper (University of Minnesota and Hong Kong University of Science and Technology).